Dance classes are nothing new, but for people with Parkinson's disease, they can provide respite from life-changing conditions. 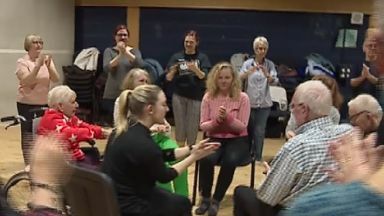 Dance project 'Dance for Parkinson's' are running classes in Aberdeen and across Scotland to help people who live with the disease. 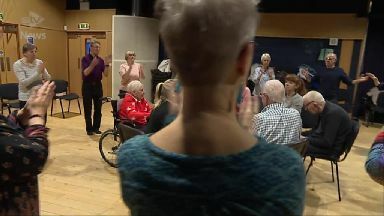 The programme is between the Scottish Ballet and Dance Base works closely with Parkinson's UK to help the mobility of their dancers. Mo Campbell, who was diagnosed with Parkinson's five years ago, said: "I've been coming since this dance class started and here I can do moves that I couldn't do at home. "I'm in quite a lot of pain most of the time, it affects people differently but for me it's my neck. "It can be quite depressing sometimes but coming to classes here makes a big difference here I can move and to be able to move and have fun." The neurological condition is progressive; it damages cells in the brain which control muscle movement. There are around 10,000 people in Scotland with Parkinson's and since Scotland has an ageing population, this number is expected to rise. Ruth Kent, from City Moves Dance Agency, is working with the Scottish Ballet to bring dance classes to Aberdeen residents. She says: "The mobility can be really comprised for people who have Parkinson's and that has the affect of taking away people's confident and self esteem. "They've been used to moving freely for a long time and then they can't. "So, it's important to create this relaxing environment and help encourage movement." The project has five regional hubs across Scotland - Aberdeen, Dundee, Greenock, Ayrshire and Inverness - in addition to classes in Glasgow and Edinburgh. The classes only use live music for their dancers because of its positive effect. Miriam Early, who is the dance health coordinator for the Scottish Ballet, said: "There's something about live music that's instinctive. "Even babies, when they hear music, start to react and that's something we all have, your foot starts to tap or your shoulders go when you hear it live. "So we discovered that with people with Parkinson's are challenged by they can freeze and aren't able to move. "But when there's music, when there's a cue or a reason to move it can get people going again."